Cartoon animation of light bulbs loop 4k. Abstract Bulbs Background. Creative Idea Concept with light bulb background. leading and success concept. invention and innovation concept. cartoon light bulbs over black background loop. The Easter bunnies found Easter eggs and baby in umbrella. Free space to add text. Animated background with flowers for children. 4K UHD video loop animation. pentagon Purple And Orange Background Loop. flat pentagonal futuristic Background for your text or logo, Neon lights vintage pentagonal tunnel loop. A Science Fiction background. Fashion, dance, music. disco and clubs background. 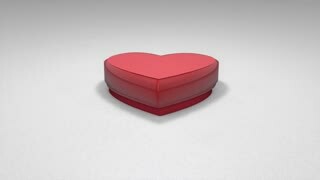 Seamless Looping Red and Pink Heart Animated Background. Cartoon animation of Red hearts with sunburst background for your logo or text. Valentine day, love and romance background. different colors in my profile. Welcome Golden Greeting Text Appearance Blinking Particles with Golden Fireworks Display 4K for Greeting card, Celebration, Invitation, calendar, Gift, Events, Message, Holiday, Wishes . flat purple hexagon futuristic Background for your text or logo, Neon lights vintage Hexa tunnel loop. A Science Fiction background. Fashion, dance, music. disco and clubs background. Animation of colorful cartoon ship's helm rotation with circle waves and sunburst in the background seamless loop with space for your text or logo. Abstract illustrated Marine Background. Steering Wheel background. Colorful string pennant triangle flags blowing in the wind. Cartoon animation of light bulbs and just the leader lighting on over colorful sunburst background with space for your text or logo. Creative Idea Concept with light bulb background. leading and success concept.